The IDentia Discovery Service (DS) provides a convenient way for users to select and use an appropriate IdP during authentication process. 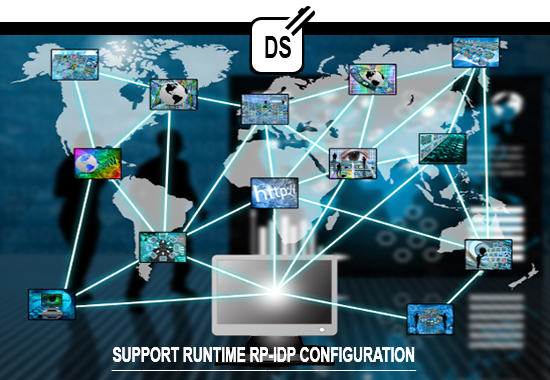 The use of IDentia DS removes the hardwired IdP information from the RPs, and enables RPs to retrieve IdP Yadis record directly. SAML requires the exchange of IdP and RPs to exchange SAML metadata to establish the necessary trust between IdP and RPs before any authentication process occurs. Therefore, we designed our Yadis discovery service in such a way that it enables not only discovery of IdPs from RP, but also RPs from IdP. Each XRDS record in Yadis will represents the endpoint of the metadata of either RP or IdP. 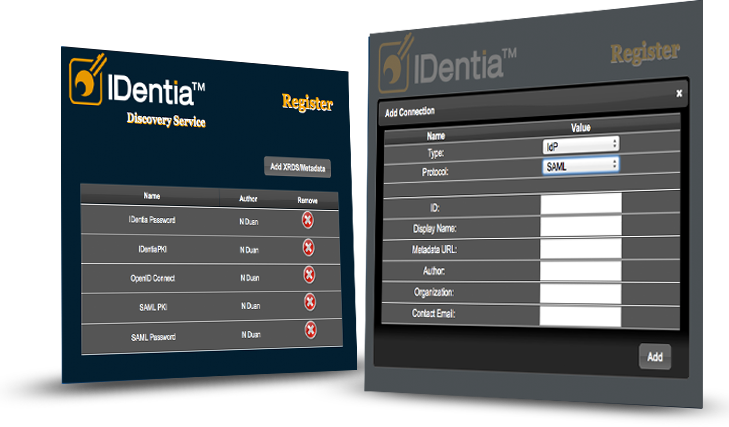 Download a free trial version of IDentia today! © Copyright 2014 IDentia Inc.
IDentia Inc. is a high-tech product company located in the cyber security hub of Northern VA. We have a strong team that specializes in Identity and Access Management (IdAM), and cloud security related products and services. For more information or request for a demo, please send email to sales@identiainc.com or fill out the form on the contact page.